I used to run a lot, like really a lot, a few years back but it went down the hill after being hit by the IT Band Syndrome. As a result, my lifestyle has pretty much been revolving around work, and not workout. But when the numbers started to hike whenever I stood on the weighing machine, it was time to make a change – a real one. So I signed up for a gym membership. 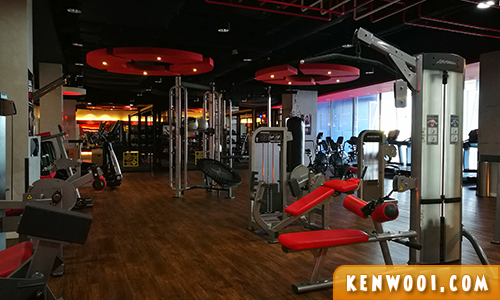 Ever since I inked my signature on the membership form, working out has been an essential part of my daily routine. I’ve started running (on the treadmill instead) again and I’m able to do weight training as well. 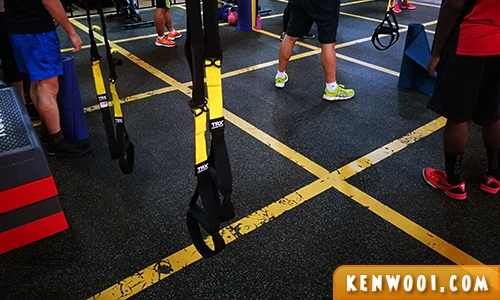 Coupling both cardio and weight training does provide a better boost for weight lost and muscle building. 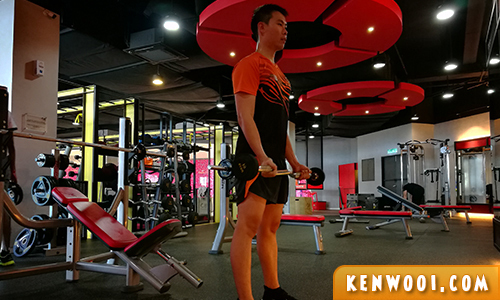 Here’s my workout routine at the gym: 3KM run followed by weight training on various muscle groups on different days. 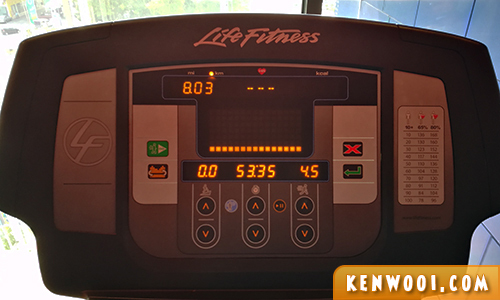 If you’re wondering, 3KM at a pace of 6mins/km would take about 18 minutes. I’ve read an article that recommends one to run within the range of 20 minutes to minimize any potential injury to the legs and knees. Sometimes I’ll go up to 8 or 10KM during the weekends. 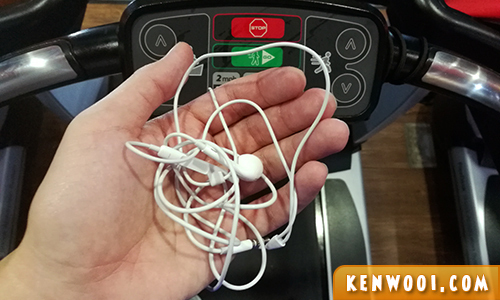 While running, I’ll usually put on my earphones and listen to pre-selected songs on Spotify (check out my Run with Ken Wooi playlist) that matches the pace. I usually run within 5 to 6 minutes per km. One thing that I don’t fancy about my current earphones are the dangling wires. They sometimes get in the way of my swinging arms and can be quite a distraction. 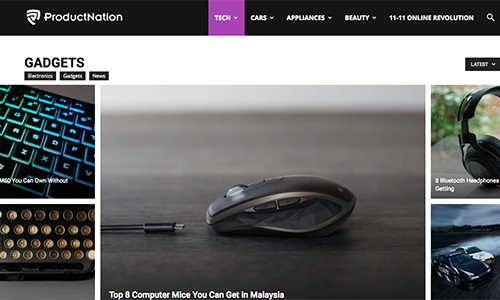 So I did a quick research on products available in Malaysia and came across ProductNation, a site with collections of latest product reviews that are at the right price, on-trend, and consumer favourites. So I navigated myself to the “Gadget” section. 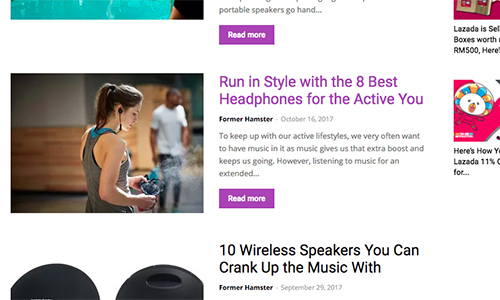 There is a list of articles on cool gadgets in Malaysia, and this particular one got my attention.. Run in Style with the 8 Best Headphones for the Active You. Pretty apt for a title, I must say. 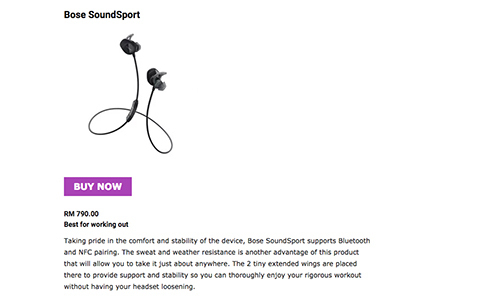 So I browsed through the list and the Bose SoundSport earphones caught my eyes. Yes, its price is on the higher range, but it promotes comfort, stability, sweat resistance, and most importantly.. supports Bluetooth pairing. No more dangling wires. Yes! I’m going to hunt for this when I get my bonus this year end. Heh. Besides running, I used to perform weight training based on an irregular sequence and preference, but I’ve recently crafted a day-to-day schedule. I’ve also recently worked on improving my pull ups. 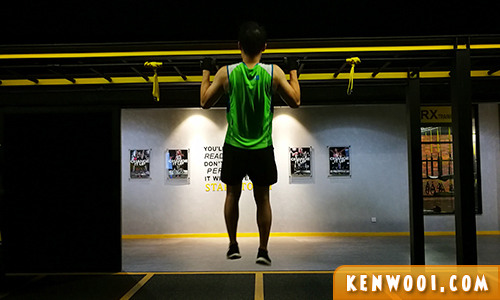 I was barely able to pull myself up during my first ever attempt, but after watching various YouTube videos for tips.. the most important muscle group to workout is the back muscles. About 5 months hitting the gym, I didn’t achieve my goal of losing weight as I’ve maintained it throughout. It’s due to the balance of fat loss and muscle gains. One thing’s for sure, my belly has shrunk quite proportionally.. as it used to look ‘pregnant’ then. Heh. My next aim is definitely to shed the fats around the belly, and that’ll be another uphill task to manage my nutrient consumption better. Frankly, I haven’t been disciplined with my food intake and that’s probably the main reason why the abs haven’t revealed itself.